Spend 5 unforgettable days in the city of love with the Paris Region Pass Experience card. It enhances your romantic holiday: no queue at ticket offices for transport, guaranteed access to the most beautiful museums and monuments, one-of-a-kind tourist experiences… In short, you have the best of Paris and its region in your pocket. To whet your appetite, we have put together a turnkey program, to say “I love you”, for the first or the thousandth time! All of the offers followed by an asterisk ( * ) are included in your Paris Region Pass Experience. After arriving at the airport, head over to one of our Tourist Information Points to pick up the Paris Region Pass that you pre-booked online. You can also buy it on the spot. Our teams are here to help you and to provide any assistance required to organise your stay. 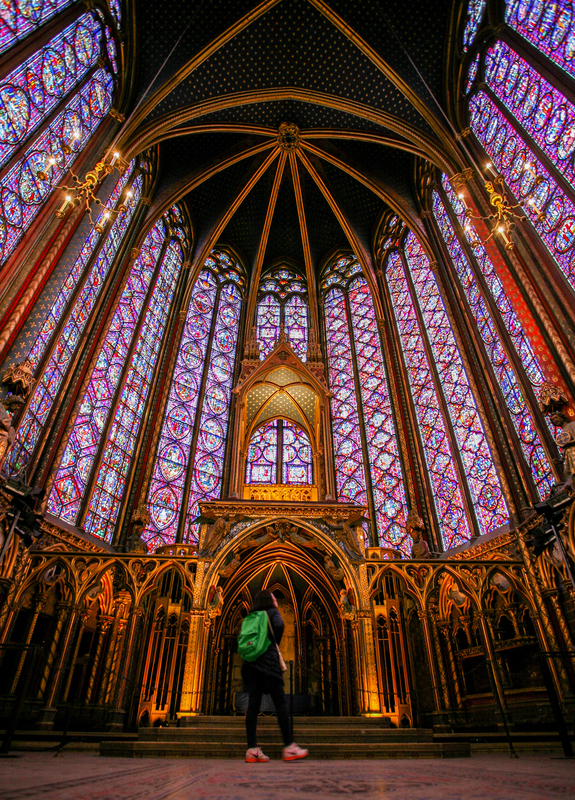 With your partner on your arm, for a perfect immersion in romantic Paris, head to Notre Dame. 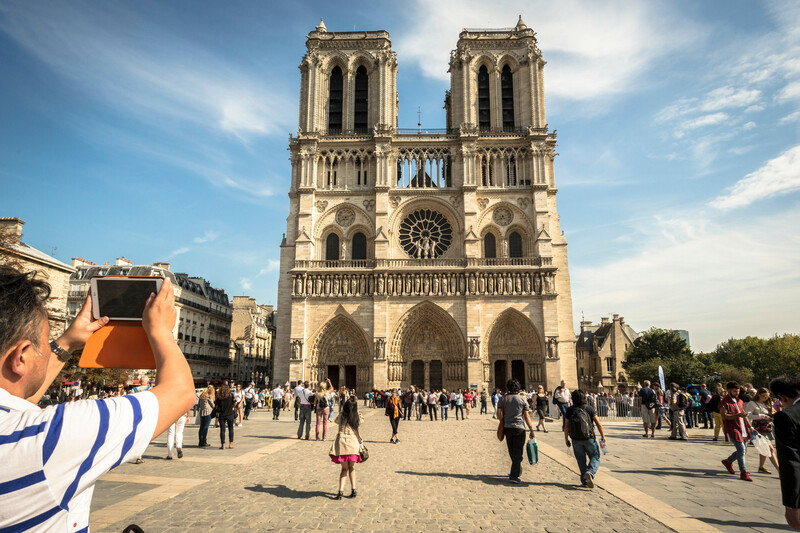 Facing the cathedral, immortalize your love with a selfie before you climb the 422 stairs of the towers of Notre Dame * , a masterpiece of Gothic art. Catch your breath under the watchful eye of gargoyles and fantastic chimeras. Then admire the view of the most beautiful city in the world and seal your union with a kiss high above the city. After descending the stairs, on the cathedral square, discover a bronze plaque marked with a compass rose. This point serves as a reference for all the geographical calculations of French roads from Paris. Impossible to get lost, you can start your romantic journey on the Ile de la Cité. Commonly known as the cradle of Paris, the Ile de la Cité contains many remains and monuments that mark the history of the capital, such as the Archaeological Crypt * , which houses the foundations of buildings built from the Gallo-Roman era to the eighteenth century. Walk along the Quai du Marché Neuf, which borders the Seine to the Boulevard du Palais, and look at the Clock Tower which has been showing the time for Parisians since 1371. The market with flowers and birds nearby is a must for a romantic immersion in the Paris of another era. 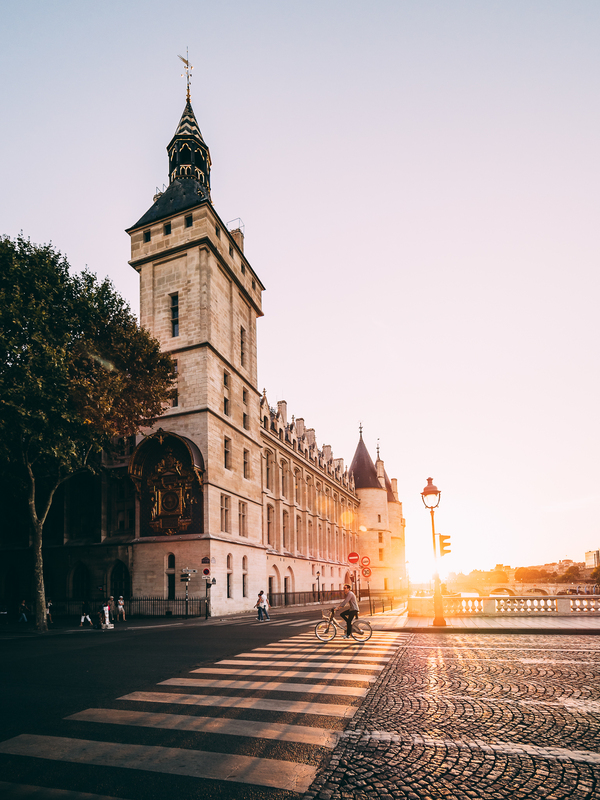 Admire the Conciergerie * and Sainte-Chapelle * with majestic stained glass windows then continue your way along the Quai des Orfèvres and its legendary number 36, the former headquarters of the Judicial Police of Paris. Further on, opposite Place Dauphine, Square du Vert-Galant offers a delightful romantic break before reaching the left bank by taking the Pont Neuf, the oldest bridge in Paris which has been visited by the lovers of the world for centuries. A whole new atmosphere awaits you on Boulevard Saint-Germain, a must-see shopping spot with numerous luxury and designer brands. Close to the Rue du Bac station, hit Beaupassage, on Rue de Grenelle, the new open-air gastronomic space that offers the best of Parisian food. Did you feast on delicious Valentine’s Day macaroons at Pierre Hermé? 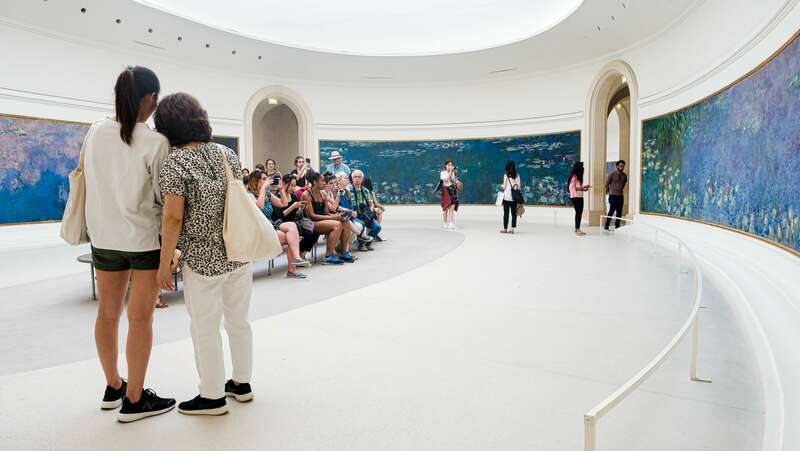 Head to the Musée de l’Orangerie * , in the Tuileries Gardens, and admire the Water Lillies, Claude Monet’s precious, world renowned series. 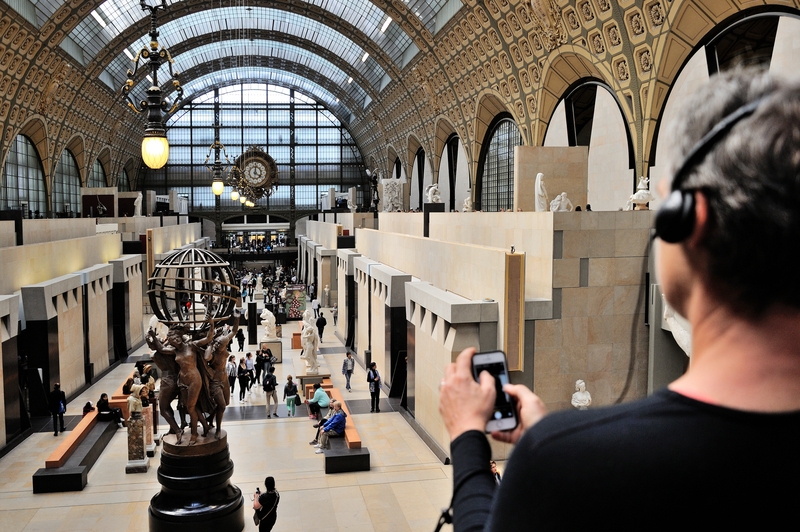 Take the pedestrian bridge to the Musée d’Orsay * and its priceless Impressionist collections. Vincent Van Gogh’s Starry Night Over the Rhone, Henri Matisse’s Luxe, calme et volupté (“Luxury, Calm and Pleasure”) will particularly attract the attention of lovers. And for the more daring, linger before L’Origine du monde (“The Origin of the World”) by Gustave Courbet. Do you have any energy left? 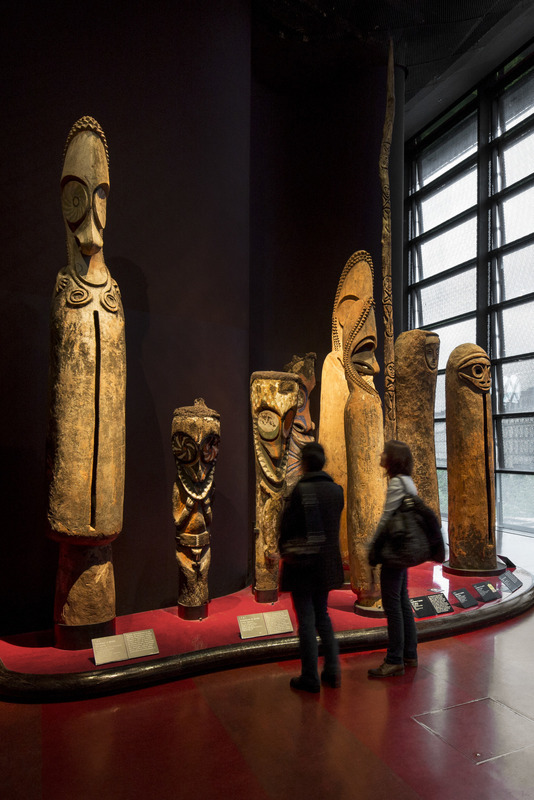 Extend your day along the banks of the Seine, classified as a UNESCO World Heritage Site. During your walk, contemplate the wonders of the capital: the Invalides * , the Musée du quai Branly - Jacques Chirac * , then, in the distance, the Eiffel Tower. Now you have come to the Pont de l’Alma. What’s more romantic than an hour-long discovery cruise * available until 10 pm to declare your passion? And since Paris is a party, kick off your evening with an exceptional show in one of the four cabarets for which the capital is famous. 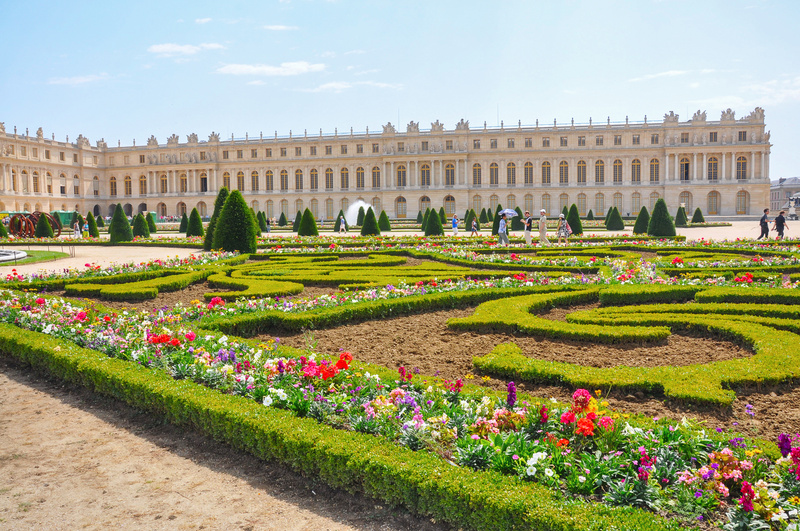 Your Paris Region Pass lets you discover the Palace of Versailles * . Prepare to be stunned by its astonishing beauty! Louis XIV, the Sun King, surrounded himself with the best artists of his time, such as Le Nôtre, who designed the formal gardens, and Le Brun and Le Vau, who were responsible for the architecture of the buildings and their magnificent interior design, including the Hall of Mirrors, one of the palace’s highlights. On site, many restaurant options await you. The most prestigious, Alain Ducasse’s Restaurant ore, provides an exclusive experience. During the day, its elegant café with contemporary décor welcomes you in the Dufour wing for breakfast, lunch or refined breaks for a sweet treat. Equally exciting, the Angelina restaurant and tea room (1st floor Pavillon d’Orléans) will delight chocolate lovers. While on the banks of the Grand Canal, you can enjoy a traditional lunch at La Flottille (Park of the Palace of Versailles). Make the most of your afternoon by visiting the Trianon estate * , which opens at midday. The estate keeps alive the memory of Queen Marie-Antoinette, who was particularly fond of Trianon. Perfect for a romantic stroll. Until 17 February, contemporary art will be honoured in the gardens of the estate with the exhibition dedicated to Japanese artist Hiroshi Sugimoto * . Between live performances, architecture and visual art, he brings to life the great characters who have marked, inhabited or traversed these places. Amazing! The end of the day lends itself perfectly to exploring the city of Versailles whose charm and treasures will surprise you. Start by visiting the Coach Gallery (free admission), located in the Grande Ecurie, outside the palace. All those who love antiques should not miss the ‘quartier des Antiquaires’. To restore your energy before adventuring off for the evening, you will find that Versailles is equipped to satisfy all appetites. For a quick and tasty dinner, we recommend L’Alcôve (2 avenue de Paris) near the palace or Le bœuf à la mode (4 rue au Pain), a traditional bistro and typical downtown spot. Now it’s time to hit the palace for a show at the Royal Chapel or the Royal Opera House. Here, under all the gold and the panelling of the palace, experience an exceptional moment with your better half. Organise your day around a hop-on/hop-off panoramic bus ride * to visit the city’s districts at your leisure. The Champs-Elysées, Place de la Concorde, take it all in! 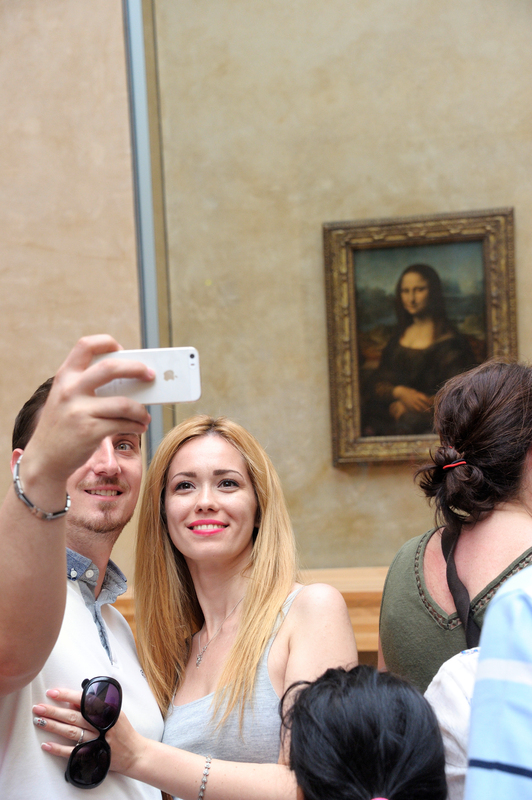 It is at the Louvre Museum * that the most famous woman in the world with her famous, enigmatic smile awaits you. The Mona Lisa of course, but also The Venus de Milo, The Winged Victory of Samothrace… So many wonders that give your visit an incomparable flavour. 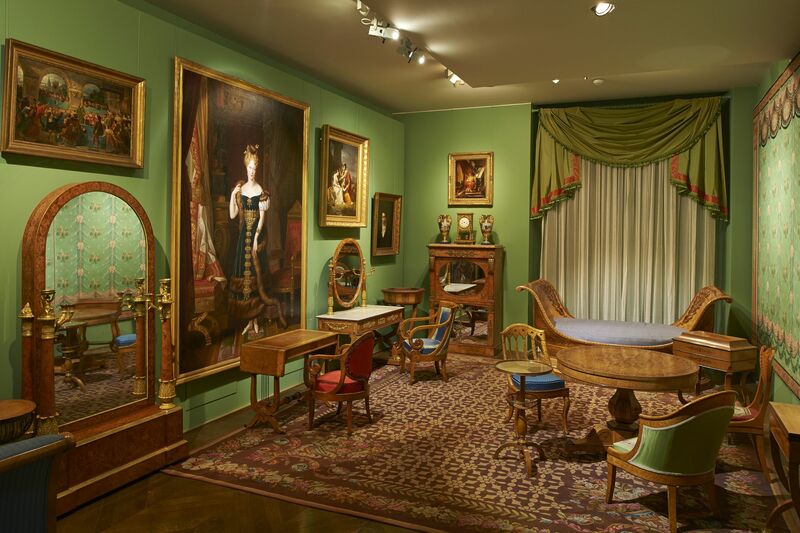 The Museum of Decorative Arts * located in one of the wings of the palace and accessible from rue de Rivoli is certainly worth a stop. It contains one of the world’s largest collections of decorative arts. The design store, 107 Rivoli, reflects the museum’s current exhibitions by presenting a selection of often exclusive items. Beautiful gifts await. Now it is time to board the double-decker bus * to travel to the large department stores on boulevard Haussmann. Craving a bite? Stop in at Printemps du Goût for a snack on the 7th floor of the Printemps Haussmann store. The biggest names in French gastronomy have come together to tickle your taste buds. And the products are 100% French! Once satiated, set out to conquer Printemps Haussmann and Galeries Lafayette, iconic Parisian shopping destinations where fashionistas from all over the world meet. Admire the windows, discover the best designs, buy that special someone a gift, exchange vows and enjoy your time together. Enjoy your bus again and head to Montmartre for a timeless ride. The basilica of Sacré-Coeur and its panoramic view of the capital, the narrow streets of the Butte Montmartre, the painters on Place du Tertre, everything here resonates the Paris of old, and the soul of the artists who lived in and visited these places - Picasso, Monet, Renoir - is still palpable. Below, make a stop in front of the “I love you” wall, a monument dedicated to love erected in the romantic garden of the Square Jehan Rictus, Place des Abbesses. Then let yourself be carried away by the spirit of Paris while strolling Rue des Abbesses and its many designer boutiques. Go down Rue Lepic and enjoy its typical market, here you will find yourself on Place Blanche, facing the legendary Moulin Rouge. As the day comes to an end, Pigalle comes alive. This is the perfect time to enjoy a cocktail in love, in a place that is as romantic as it is extraordinary. The bar of Maison Souquet, an old brothel converted into a luxury hotel, awaits you with a sweet atmosphere and a cozy décor. And to prolong this fun evening, head to Pink Mama two steps away, a restaurant that is like a trattoria which will delight the most refined palates. Start your day on the track of passionate love. 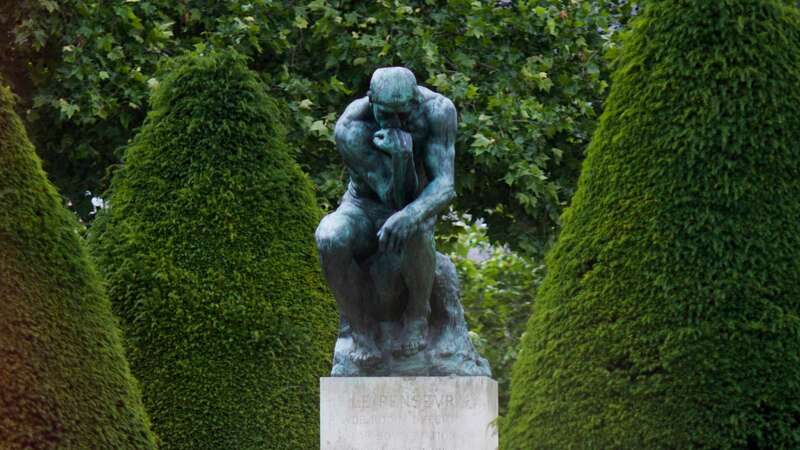 The Rodin Museum * , located in a spectacular eighteenth-century mansion, and its vast gardens, are home to most of the work of the great Auguste Rodin but also to his disciple and mistress, Camille Claudel. Stop in front of The Kiss, marble embodying two characters from Dante’s Divine Comedy. Stand before the quintessence of love. Back on Place des Invalides, admire the Dôme des Invalides * which houses Napoleon’s tomb. Then head for the Champ de Mars, where the Eiffel Tower majestically stands, in front of which you can embrace your special someone. Cross the Pont d’Iéna then the gardens of Trocadero to enjoy lunch at Girafe, the chic and glamorous eatery of the Cité de l’Architecture et du Patrimoine Museum * . In a 1930s décor with light banquettes, a marble bar and tropical plants, enjoy simple and refined fish and other seafood-based cuisine, with an unobstructed view of the Iron Lady of Paris. Magical! Enjoy a change of scenery and time crossing the Seine. On the square of City Hall, relive the famous Kiss by the Hôtel de Ville immortalized by photographer Robert Doisneau. Just a few steps away, make a shopping stop at BHV Marais, the most Parisian department store in the capital. You have arrived at the Centre Pompidou * , recognizable by its outdoor escalators and its gigantic coloured pipes. It houses the most important modern and contemporary art collection in Europe. From the top floor, take in a magnificent panoramic view over the roofs of Paris. After leaving the museum, immerse yourself in Le Marais, a district whose architecture is exceptional. This is where the most sumptuous private residences of the 17th century can be found. 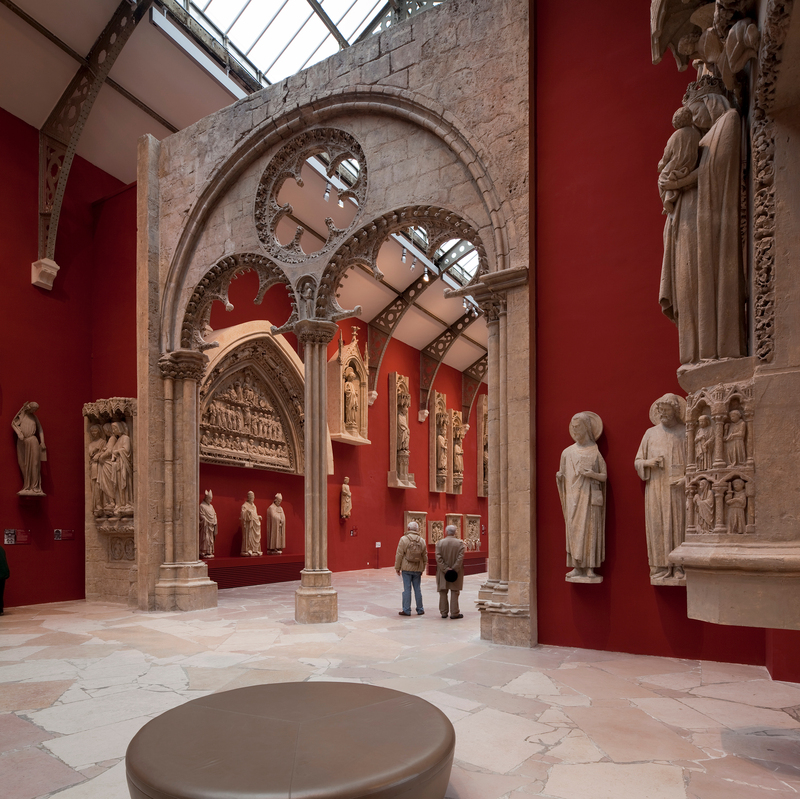 Today, they house some of the capital’s most important museums, such as the Musée Picasso * , which has more than 5,000 works and several tens of thousands of archival pieces from the master himself and his contemporaries. The area is full of inspiring boutiques to take a shopping stroll. Designer, vintage, deco… There is something for everyone. Take advantage of your walk to pop into Fleux’. The four stores on Rue des Francs-Bourgeois contain a wide variety of lighting, tableware, lifestyle items, amazing objects and designer pieces from all over the world… A place to keep in mind for an impromptu, original gift for someone special. Continue your shopping to the Forum des Halles, the historic Parisian shopping centre that has been recently renovated. Under its light-filled canopy, discover Made in Paris brands at Sept Cinq, the concept store which unearths Parisian designers. 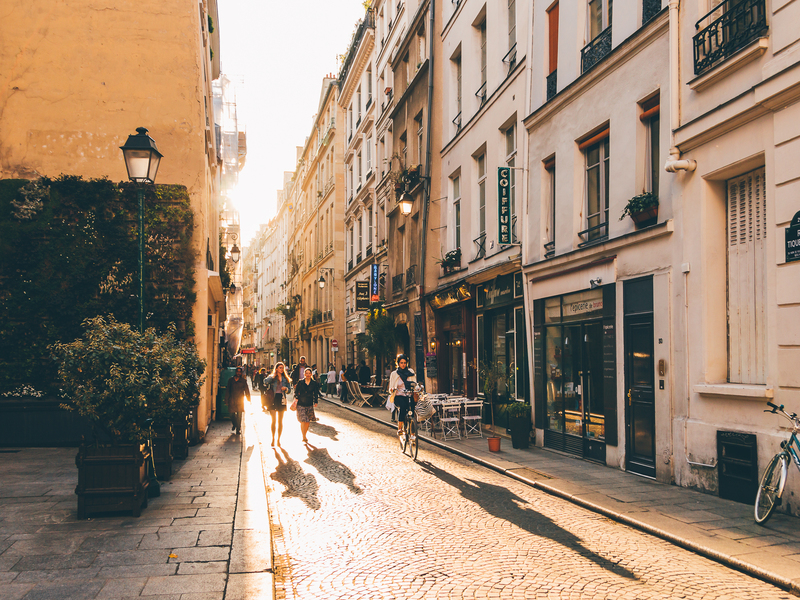 A few steps away, the effervescent Rue Montorgueil will satisfy any foodie. This road is home to Stohrer, the capital’s oldest pastry shop, and other more contemporary boutiques such as L’Eclair de Génie (14 rue Pavée, 75004) and Fou de Pâtisserie (45 Rue Montorgueil, 75002). 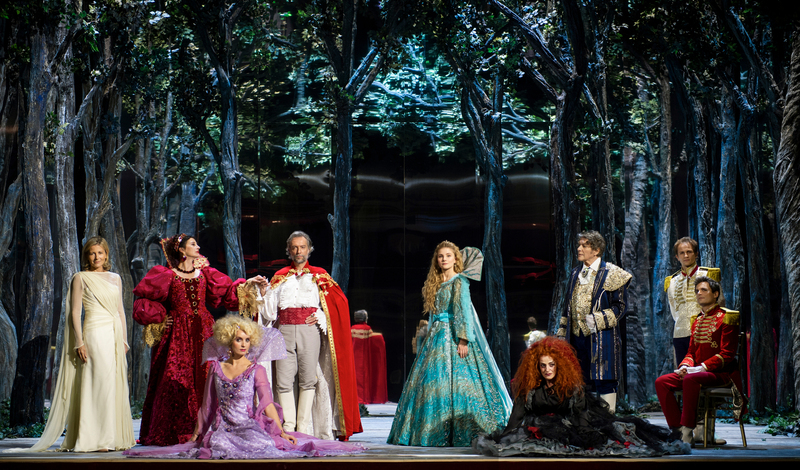 To round off your day in style, we would suggest seeing a musical. Chicago, Fashion Freak Show, Peau d’Ane, take your pick! Hungry? Paris has several tables to satisfy your appetite even late in the evening. Le pied de cochon (6 Rue Coquillière, 75001) or Le tambour (8 Rue de la Jussienne, 75002) in the heart of Paris welcome you all night. It’s your last day in the capital and your Paris Region Pass takes you to Rueil-Malmaison to relive the Empire and the love of Napoleon and Josephine. Just 20 minutes from Paris by public transport, visit this city steeped in history. The first stop on your imperial pilgrimage, the Château de Malmaison * , a sublime building acquired in 1799 by Josephine, was the intimate setting for many years of the happiness experienced by Bonaparte and his beloved. Continue your visit in the château park where the perfume of the Empress, fond of botany and roses, still lingers in the air. Just a 5 minute walk, stop at Brasserie du Château (193 Avenue Napoléon Bonaparte, Rueil-Malmaison), to enjoy typical lunch of traditional French cuisine. Save a small space for the delicious sweet creations of Valentine’s Day sold by Gilles Cresno, the renowned master chocolatier of Rueil-Malmaison. Back in the capital, enjoy your last moments by revisiting the most beautiful and most famous avenue in the world, the Avenue des Champs Elysées. Lined with plane trees, its vast sidewalks are the perfect place for lovers of beautiful windows to stroll. 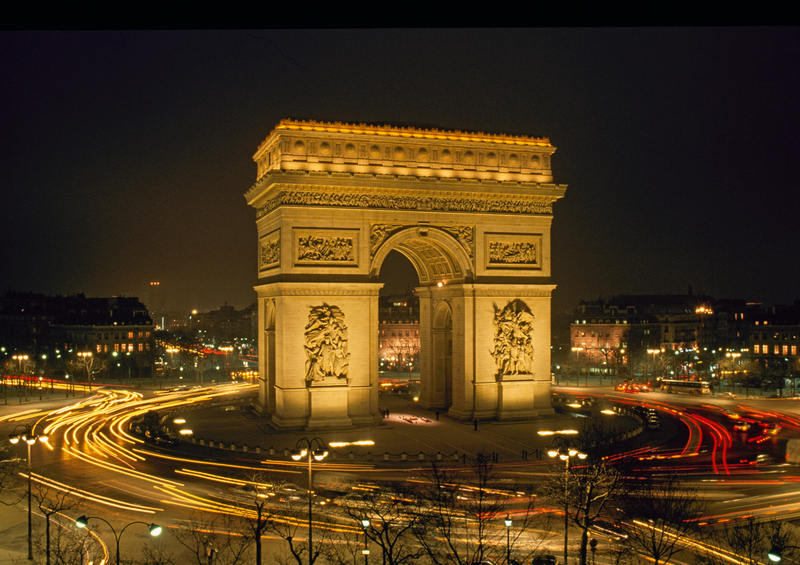 With Avenue Montaigne and Avenue George V, the Champs Elysees forms the famous Golden Triangle, a luxury shopping mecca. Place de l’Etoile, the Arc de Triomphe * , a national symbol built under the reign of Napoleon, provides an unrivalled view of the capital from the top of its panoramic terrace. Hug and kiss one last time while soaking in Paris stretching out before your dazzled eyes. It is already time to head back as the end of your stay approaches. All that remains is to pick up your luggage at your hotel. You can use the Paris Region Pass to go to the airport.